world’s most mesmerizing natural wonders, and the friendly and welcoming community makes the city of Niagara Falls a top destination for global travelers. 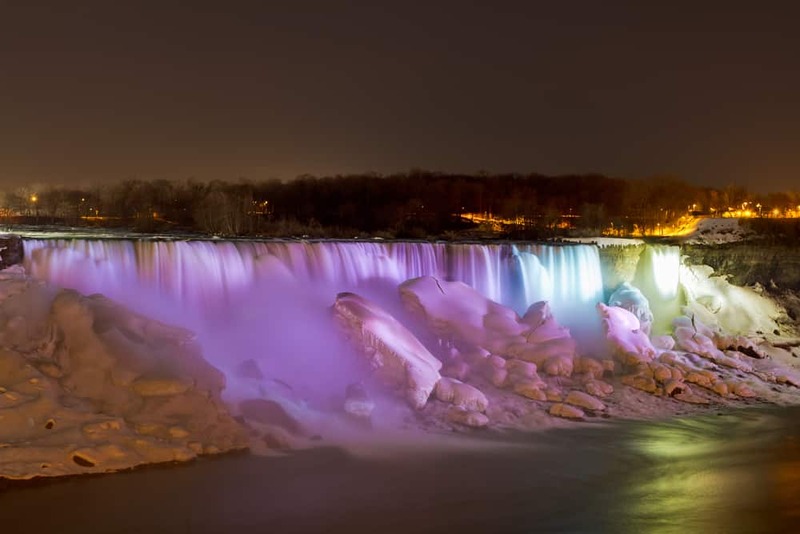 There are so many romance-filled Niagara Falls activities to do with your loved one. 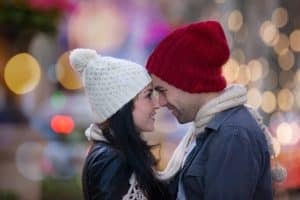 From toasting your sweetie with a delicious Peller Estates ice wine, to intimate dining at Massimo’s Italian Fallsview Restaurant, here are romantic things to do in Niagara Falls recommended by the Sheraton on the Falls Hotel, the best place to stay in Niagara Falls. All rooms feature the Sheraton Signature Bed, which has a custom-designed Posturepedic mattress, warm blankets, a cozy duvet and hypoallergenic pillows. However, you choose to spend time in your room, you’re sure to love every minute at the Sheraton on the Falls Hotel. Get a glimpse of Niagara Falls when you dine at the Sheraton on the Falls Hotel. Your Ultimate Couples Experience package includes three $20 gift cards, one for each of the following romantic Niagara Falls restaurants. Massimo’s Italian Fallsview Restaurant: Get a world-class dining experience from Italy-born executive chef Massimo Capra, who brings classic Italian cuisine and fine wine pairings to this elegant restaurant overlooking Niagara Falls. High-quality, local ingredients are the perfect complement to Italian and locally sourced wines and drinks. Prime Steakhouse Niagara Falls: Take in the rushing waters of Niagara Falls as you dine at Prime Steakhouse Niagara Falls. The luxurious restaurant serves up classic dishes with local flair, including Atlantic lobster chowder, caviar and deviled eggs, and Canadian AAA reserve beef. Fallsview Buffet: All-you-can-eat dining plus attention-grabbing views everywhere you turn: the Fallsview Buffet has it all! Take a seat near Niagara Falls and relax here over breakfast, lunch or dinner. There’s nothing that can compare to Niagara Falls in your view as you dine. With dining cards to these three places, you’re guaranteed to have romantic meals in Niagara Falls. Niagara Falls has no shortage of romantic wine tasting. When you get the Ultimate Couples Experience package, you also get winery tasting passes to two of our favorite wineries: Inniskillin and Jackson-Triggs. Inniskillin: There’s plenty of heritage at Inniskillin, which has operated for more than 35 years. Check out the winery’s award-winning table wines and ice wines. Jackson-Triggs: Taste this winery’s specialty wines, including classic varietals like chardonnay, pinot noir and riesling. Take a behind-the-scenes tour of how the wine is crafted in this gravity-flow assisted facility. Ice wine, a type of dessert wine that’s produced from grapes that were frozen while still on the vine, is a must try here in the Niagara Falls region. Pick up a bottle of Peller Estates ice wine for a special romantic drink. You’re sure to feel so relaxed and ahhhhh-mazing, that you’ll be refreshed for the rest of your Niagara Falls trip. Hard Rock Cafe: Every visit here has plenty to explore, with real rock n’ roll memorabilia and music throughout the venue. Niagara Vines: You don’t have to go far for a tasty libation at the Sheraton on the Falls Hotel. Just head down to the lobby to Niagara Vines, a relaxing bar with knowledgeable bartenders serving up Niagara Falls wines. 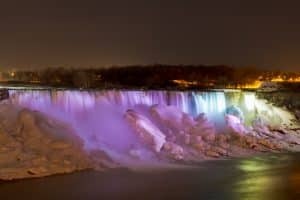 Head to one of these spots before a romantic night in the city of Niagara Falls, or as a way to conclude your day of romance-filled activities. If you’re headed to Niagara Falls with your honey, the Sheraton on the Falls Hotel is the place to stay. From our luxe rooms, to tons of dining and drinking options, to a spa day (or two) you’ll never forget, our hotel has everything you need for a romantic time. Let our team know how we can make your Niagara Falls vacation the most romantic ever.